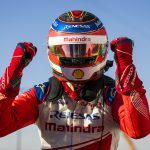 We had action for the first corner to the last during the Marrakesh E-Prix, which created an unexpected result with Mahindra’s Jerome d’Ambrosio claiming his first on track victory in ABB Formula E, but his third overall. We now take a look at the facts and figures behind the days racing in Marrakesh. – As a result of the three points Sam Bird got for claiming his fifth Pole Position in Formula E, he became only the fourth driver to have claimed more than twenty bonus points (15 for Pole Positions and seven for Fastest Laps). Now only Sebastien Buemi (46) and Jean-Eric Vergne (26) have more. – Bird’s Pole Position points were Envision Virgin Racing’s 30th bonus points. 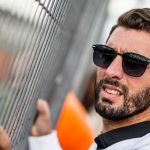 They are now only behind Renault e.dams who scored more than double any other team (60) during their four seasons in Formula E.
– Even though he was very close to victory in Marrakesh before colliding with his teammate, Alexander Sims still managed to finish in fourth place in only his second E-Prix. This meant that Sims became the tenth different driver to score points for BMW i Andretti Motorsport, the most of any team in ABB Formula E. We will take a look at these ten drivers later on. 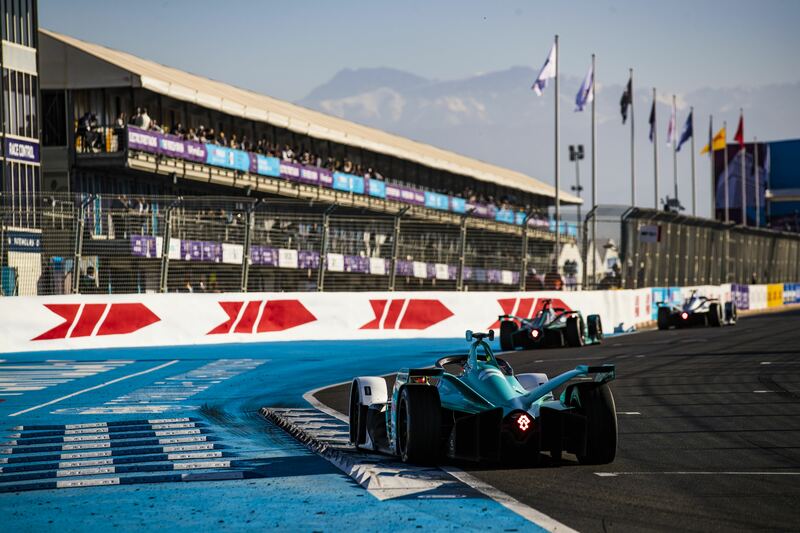 – Over the three Marrakesh E-Prixs, only three teams have managed to stand on the podium with Envision Virgin Racing claiming four podiums (three from Sam Bird), three for Mahindra and Renault e.dams taking two podiums. After starting down in 14th after brake issues in Qualifying, Oliver Turvey managed to avoid the first corner carnage and jump up to 7th position, gaining the most positions he had every gained on Lap 1 in Formula E. With Daniel Abt also gaining seven positions on Lap 1 (going from 16th to 9th), two drivers gained seven positions on Lap 1 in the same race for only the third time in Formula E history (Monaco Season 1 and Santiago Season 4 being the other occasions). With many drivers having to take avoiding action after Jean-Eric Vergne’s clash with Sam Bird and many losing time; many drivers were able to prosper and seven drivers managed to gain at least five places on Lap 1, which is more than the previous 39 E-Prixs combined (and almost double the previous record of four from Monaco Season 1). As a result of having to take avoiding action from a spinning Vergne, Sebastien Buemi dropped to 14th, losing more than 10 position on Lap 1 for the first time since his crash with Lucas di Grassi in London of Season 2. After qualifying seventh on the grid in his debut race, Pascal Wehrlein was looking to have a strong E-Prix before he was hit from behind by Lucas di Grassi on the first corner and causing his retirement. The Mahindra driver only finished ahead of another retiree Stoffel Vandoorne, who had made contact with HWA Racelab teammate Gary Paffett. Even though Jean-Eric Vergne spent less than a season at Andretti in Season 1, he is the team’s highest points scorer, getting 26% of the Andretti’s points. However, this is likely to change this season, with Andretti stalwart Antonio Felix da Costa currently only 12 points behind. Of the ten drivers, six of them, Scott Speed (Miami Season 1), Franck Montagny (Beijing Season 1), Charles Pic (also Beijing Season 1), Alexander Sims (Marrakesh Season 5), Tom Blomqvist (Marrakesh Season 4) and Justin Wilson (Moscow Season 1) scored all their points in a single race. Over the last five seasons BMW i Andretti have had 14 different drivers with Matthew Brabham, Marco Andretti, Kamui Kobayashi and Stephane Sarrazin failing to score for the team. Over the course of Season 1, Andretti had eight different drivers race for them, which is the same as the highest other current team (Venturi and NIO) over the last five seasons. After missing out on Pole Position to Sam Bird by just 0.046 seconds, Jean-Eric Vergne started a respectable second on the grid. However, his race was turned on its head when at Turn 1 he was facing backwards after making contact with Bird after an ill-judged move. With Vergne’s teammate Andre Lotterer making a mistake in Qualifying and starting only 20th, both DS Techeetah’s found themselves outside of the top 10 and looking unlikely to keep their lead in the Teams’ Championship. After the end of Lap 1, DS Techeetah were sitting in third in the virtual Teams’ Championship, 11 behind Envision Virgin Racing (who were currently running first and fourth) and 32 points behind BMW i Andretti Motorsport, whose drivers where sitting between the Envision Virgin duo. Lotterer and Vergne both progressed through the field with Lotterer getting into the Top Ten by Lap 11 and Vergne by Lap 18. Vergne then passed his German teammate on Lap 18 to move up into eighth position. Both drivers then gained another three more places each (including from a retiring da Costa) to finish fifth and sixth. After being in 19th and 15th at the end of Lap 1, Vergne and Lotterer and managed to gain a combined 23 places in 30 laps to claim a total of 18 points and extend DS Techeetah’s lead in the Teams’ Championship.